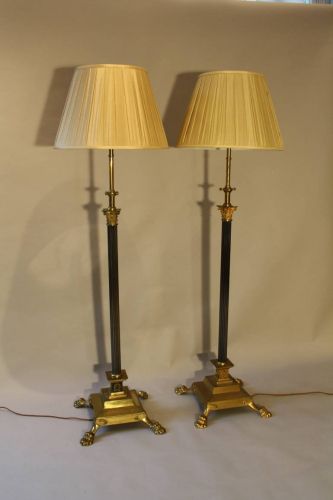 A pair of sturdy black painted, lion paw and Corinthian column brass floor lamps. Telescopic operation on central shaft allows height adjustment. English c1920. Price includes shade. Rewired and PAT tested for UK use.